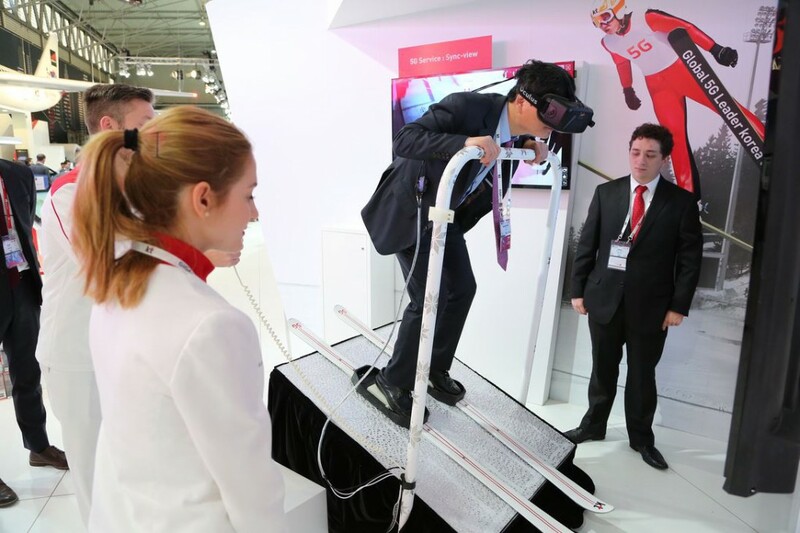 As the euphoria of Mobile World Congress’s 30th birthday party subsides and is replaced by an industry collective hangover, the question soon arises – was it worth it? What were the major themes? What was discussed? What did we learn? Here is my wrap up. 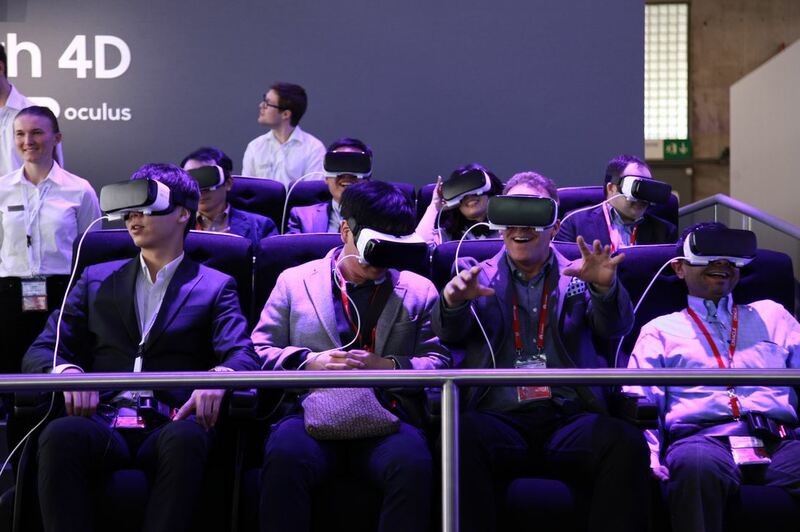 From the minute that Mark Zuckerberg made a surprise guest appearance at the Samsung Galaxy unpacked event where he spoke for 20 minutes about the potential for virtual reality, you knew VR was a big theme at MWC 2016. Indeed, amongst the three halls of exhibiting device manufacturers, every stall featured their own VR headset showcase. This meant that over the course of the week, I was able to test out a variety of VR experiences which plunged me into worlds ranging from ski-jumping (I actually wobbled as I took off from the jump), to being a maintenance worker in the connected city of the future, to taking a particularly stomach churning trip on a VR roller coaster. What impressed was the fact that most devices are now able to deliver an impressive level of VR experience. It seems that the difference in quality of experience delivered by top-end versus bottom-end devices is not vastly different. When increased hardware capability is combined with the decreasing cost of ownership it is not difficult to imagine a world where VR headset ownership is commonplace. A lot will depend upon whether we as an industry can get the use case right. Previous VR discussions have centred on usage: Why would people use it? How will benefit? How will brands engage in a VR world? What potential does VR offer for the delivery of exciting and compelling marketing experiences? This year’s show went a long way to answering these questions, as the focus was very much aimed at demonstrating how the technology will be used in the real world. It is clear VR has a large role to play within the area of professional training, as the technology offers a safe and effective environment in which a pilot or a surgeon or indeed any job with a technical aspect, can learn the range of skills required in their jobs. From a consumer perspective VR provides the opportunity to enter into the world of celebrity or hero. Imagine being able to drive the Monaco Grand Prix through the eyes of Lewis Hamilton, or score the winning goal in the Champions League final through the eyes of Cristiano Ronaldo. VR will open new horizons for consumers through allowing them to experience the worlds of their heroes. It is not difficult to see the role VR can play within digital gaming, as the opportunity for the gamer to completely immerse themselves within the virtual gaming environment is hugely compelling. We even saw the role VR could play within retail where VR could be used to deliver the same product purchasing experience, except this would be through a virtual store as opposed to a bricks and mortar one. VR may require an adjustment of retail business models, but ultimately could prove to be hugely effective in driving improved efficiency and profitability. When it comes to VR for marketing purposes, I believe it offers brands the opportunity to deliver new levels of consumer engagement around existing brand partnerships or sponsorships simply by allowing the person at home to be present at an event through their VR headset. Imagine McDonald’s inviting you to be a spectator at the next Olympics without having to leave your couch, and then linking product purchase to accessibility of new events. Through AR, it could have been possible to have had unlimited attendance at the London Olympics on that magical night inside the Stratford stadium when the British athletics team won three gold medals. The possibilities for creative deployment of VR are endless. All you need is a good imagination; the technology gap has been filled. One word of warning, though, despite all the excitement: there was significant discussion around how VR might negatively impact human behaviour as consumers may prefer virtual worlds to the physical one. Indeed, Zuckerberg spoke about the possibility for shared social VR experiences which seemed to further decrease the need for people to actually engage with each other in the real world. 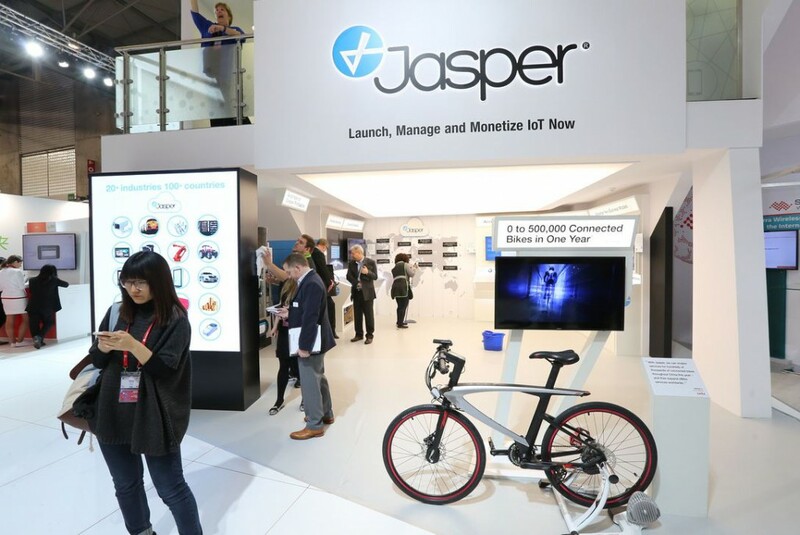 The much discussed ‘Internet of things’ was widely in evidence at MWC 2016, with many demonstrations of connectivity in everyday life. The concept of the ‘Internet of things’ has been around for some time, but the conversation felt different this time, away from the theoretical and concentrated on real-world practical activation. AT&T demonstrated an impressive connected car software solution which illustrated how the combination of automation and connectivity can enhance the life of an individual. The demo began by featuring car-to-car communication which allowed each vehicle to become aware of a new road hazard in real-time and subsequently recalibrate the route. This then moved on to showcase how the software enables the individual to manage email and calendar requests via voice whilst being behind the wheel, to finished by illustrating how the combination of automation and connectivity can deliver intelligent services, such as the car switching on your home central heating automatically when your car reaches the half way home point in the journey. Oral-B demonstrated how they see connectivity impacting the humble toothbrush through the delivery of their connected toothbrush product. The toothbrush strapline was ‘brush like a demon’ and featured the toothbrush beaming real-time brushing related information to a display in your bathroom mirror which showed you where in your mouth needed extra attention. The show went on to explore the role connectivity could play within marketing through the delivery of automated service delivery. In the case of Oral-B, you could automatically order a new toothpaste, or toothbrush head based upon the data your collected toothbrush gathers on you, how you brush and your level of oral health. The point is the brand can learn more about how an individual customer uses their product, and offer them a service or piece of advice based upon their own behaviour, whilst also making repeat purchase a frictionless experience. The advertising and media halls were the biggest and busiest I had ever seen them at MWC 2016. The huge level of interest in connectivity and associated advertising and marketing opportunity was clearly evident. Companies exhibiting covered all aspects of the digital eco-system including DSPs, DMPs, ad-networks and data suppliers. No-matter which company you spoke to, all conversations inevitably featured a discussion around customer data and the range of ways this could be collected and activated. For me, connectivity allows advertisers the opportunity to better understand your target audience’s natural behaviour and to be able to better target them. Over the week, we saw a few interesting new developments in the customer data deployment space. We had one location based company unveiling a location specific marketplace – think Google AdWords except for real-time real-world locations with little relevancy score. This is interesting as it allows a brand to bid according to the importance they place on reaching a consumer when either in a specific location or their location history means they fall within the target profile. Indeed, there was a lot of discussion around the concept of using an individual’s location history as a way of profiling them, and delivering them advertising that was targeted to them. I believe this offers advertisers rich opportunity to have a much greater depth of customer understanding, and a huge opportunity to either talk to them in a way that naturally appeals. Another interesting opinion on the power of customer data came from network operators. There was a lot of discussion around the role they could play in replicating the success Facebook has had in mobile advertising across the rest of the mobile advertising eco-system. It seems as if operators are finally waking up to the fact that their huge customer databases offer a highly valuable opportunity to open up new revenue streams and deliver this concept of personalized advertising. Whether the operators will commit to delivering this at scale still remains to be seen, but the initial signs are good. Particularly as dwindling voice, SMS and data tariff revenues continue, perhaps their motivation to explore will increase. Overall, MWC 2016 has been a positive experience for the mobile industry; it felt like we were actually growing up at last. No longer was the focus on unearthing the shiny new thing. Instead, the focus has shifted to making previously discussed lofty concepts actually attainable and successful. It was also noticeable that there were more brands and their agencies present than ever, which is a hugely important barometer of interest. People now realise not only the potentially game-changing opportunity offered by smart connectivity, but are also visualising the role that technology can play within their own business. Mobile really is everything. Alex is Head of Mobile across OMD Netherlands and leads our approach to ‘mobility’. He manages a team of 65 that spans the region and delivers mobile-centric technologies, products and innovative business solutions for our clients. Alex has been shaping and developing all OMD companies approach to mobility, helping develop a product set that ensures we are able to lead the conversation and advise our multi-national clients on how to maximize new business opportunities offered by today’s rapidly developing mobile technologies.